On Sunday, March 31st at 3:00 in the afternoon, the Young Artists of Opera Western Reserve will present Goldie B. Locks and the Three Singing Bears in the Jeanne D. Tyler Grand Ballroom at Stambaugh Auditorium. Tickets for this event are $7, including service fees, and on sale now through the Florence and Ward Beecher Box Office. This operatic version of the story of Goldilocks is based on scenes from operas by W. A. Mozart and J. Offenbach. Goldie B. Locks doesn’t just like bugs, she loves them. When a beautiful butterfly flutters off into the woods, she chases it forgetting a promise made to her mom to stay close to home. Ending up lost and alone, Goldie B’s story unfolds much like the traditional Goldilocks, but with one important difference. The Opera Western Reserve Young Artists travel around the tri-county area to perform at local schools. Their regular programs include “Fun with Opera,” which is an interactive performance where students help to create the scenario for a one-of-a-kind improvised opera. 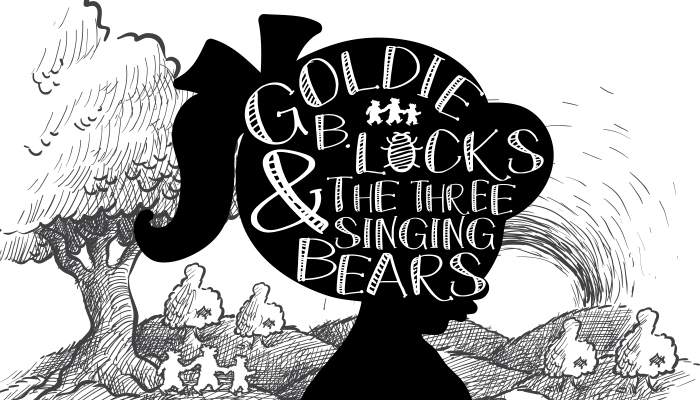 Tickets for Goldie B. Locks and the Three Singing Bears are available now through the Florence and Ward Beecher Box Office at Stambaugh Auditorium. For more information or for tickets, visit stambaughauditorium.com or call 330-259-0555. The Box Office is open Monday-Friday, 9am-6pm.